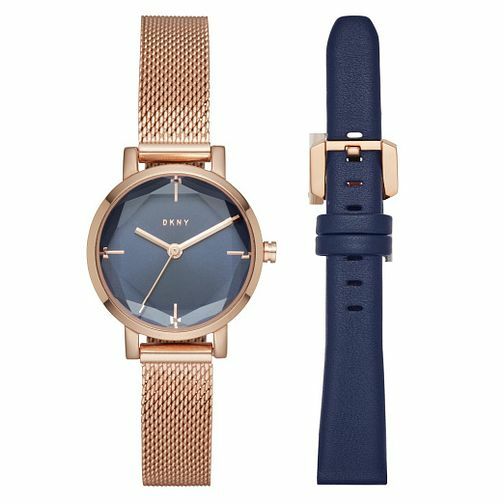 DKNY introduces a beautifully styled watch that features a dome crystal that has been cut with wonderfully symmetrical lines. The pared-back blue dial enhances readability with a luxe rose gold toned case and bracelet. Included in this purchase is a blue strap that can be swapped out for whatever style you desire.